Article (1): The technical department of the UAE Jiu-Jitsu Federation will act as the supreme organizing committee of the championship. It will take the necessary decisions for the successful of the championship. Article (2): The organizing committee of the championship will establish appeal committee to consider the complaints and requirements of the championship and settle them. Article (3): The working committees will be the competent to appoint referees and may seek the assistance of the specialized competent bodies. Article (4): According the UAEJJF Executive Regulation under United Arab Emirates Jiu-Jitsu Federation (UAEJJF) set the standards for the Jiu-Jitsu Championship inside UAE and International Championships under the UAEJJF World Ranking 2017/2018. Article (5) – The Jiu-Jitsu Championship will be played single with division by age group and weight. All matches will be held in Mubadala Arena. At 11:00 A.M for Men & women on the same date of the weight. Article (1): Apply online the membership of the athletes and members of the Club. Article (2): the registration will be done by UAE Jiu-Jitsu Federation via Email of MR Yasser Al Qubaisi. Article (3): Each club must sign the final form of players before the expiration of registration. Article (4): Each club has the right to participate with two players in every weight. Article (5): The manager of the teams will be the responsible of performing the medical examination without holding any responsibility by the organizing committee of the championship in the events of injury or death. Article (6): It will not permitted to add or substitute the participating players in the championship after holding the technical meeting, except in the cases of death and injury (submitting medical report) and after obtaining the written consent from the supreme organizing committee. 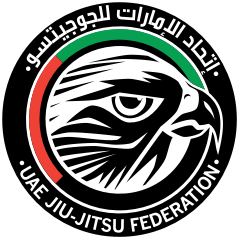 Article (1): The latest version of UAE Jiu-Jitsu Federation rules in referring and managing all championship matches will apply except in the cases provided in this regulation. Article (2): The weighing of the athletes will be held in place and certain time, according to the schedule released by UAEJJF and will be performed within the day and at least 2 (two) hours prior to the start of the competition. Article (3): The Organizing Committee may cancel any of the weights mentioned in case of that the participants are less than (3), provided that the Committee notifies the participating teams of such amendments in the technical meeting. Article (4): (one) hour before the official weigh-in should be available a scale that will be available to athletes, for the free weighing. Article (5): – The athlete will be weighed without GI for competitions, check chapter 10. Article (6): The responsibility of weighing is the Rules Committee, composed of two (2) teams of three (3) members (male and female), designated by the Technical Director of the Technical Event or its legal representative. Article (7): The athlete can step on the scale as many times as need to reach the weight category, provided that, within the deadline set by the organization. If the athletes do not reach the limit of its kind, it will be automatically disqualified. Article (8): Upon weighing the athlete must present ID or UAEJJF member Card. Article (9): The fighter is allowed to participate in only one weight of the weights included in the championship; and the fighter is not allowed to participate in two different age categories. Article 1 – Technical Meeting will be held on time, place and time set in the event program. Article 2 – Only be allowed the presence of representatives from each participating Club or Federation in the Technical Meeting, the same being done with any number of delegates present at the scheduled time. guidelines and recommendations about the event. Article (1): All fighters must be present in the warm up room at least fifteen (15) minutes before the start of their matches, in order to reviewing the cards and the GI. Article (2): When the number of competitors in the weight classes is less than six (6), excluding the verification system will be the rotation (one against all), performing the draw for numbering the athletes. Paragraph 1 – After counting points, athletes will be classified taking into account the outcome of direct confrontation, to tie between two (2) competitors. Paragraph 2 – There is a tie between three (3) or more athletes, when you cannot set the tie through direct confrontation, the tied players will make new confrontation with each other. Article (3): When the number of competitors is more than 6 (six), including the determination will be made by the Jiu-Jitsu Asian Union system. Article (4): The draw procedures are made on the same day, in the presence of the Head of the Referees Committee and Representative of the Organizing Committee, unless otherwise is decided by the Organizing Committee. Article 1 – Will be only considered the best result of each athlete's club in each weight categories in their respective class according the UAEJJF Ranking. Article 2 – For general classification, will be calculated the number of gold medals won by the Clubs in the categories of weight and age class. Paragraph 2 – Persisting the tie, winner will be declared the club that enroll the largest number of competitors. Article 1 – Athletes classified into first, second and third places in the individual competitions will receive medals. Article 2 – The teams ranked first, second and third places will receive trophies. Article 1 – Athletes should present themselves for the competition with uniform (kimonos) in accordance with the rules and regulations of the UAE Jiu-Jitsu Federation (UAEJJF) considering the official measures to both Kimono, white, blue and black. Article (2): Each fighter should bring tow kimonos, a White kimono and Blue or Black kimono during the tournament. Sole Paragraph - For the ceremonial Opening and Awards WHITE Kimono use is recommended Only. Article (3) – Unless provisions of this Regulation, apply to all the rules laid down in UAEJJF Rules & Regulations Book of the UAE Jiu-Jitsu Federation in force. All complaints and protests must be submitted to the Organizing Committee in writing and signed by the team manager or his representative, in addition to the protest fees of (500) AED, which are refundable in case of accepting the protest, noting that any oral complaint or protest will not be accepted. Any protest, regarding the result of a match or any incorrect application of the law provisions, must be submitted within (30) minutes from the end of the match. Any protests regarding any decisions made by the referee during the match will not be accepted; as such decisions are considered final. Any complaints or protests submitted to the Organizing Committee after the previously identified time will not be considered.